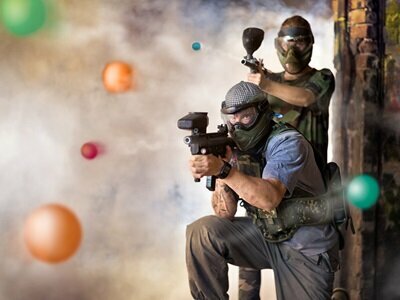 Spyder provides you the best product every time, and this time they introduce you to their military-style paintball marker. This MR-100 semi-auto paintball marker shoots straight and right on the target. With a military-style outlook, you can perform well each time. This paintball marker is mechanical style. 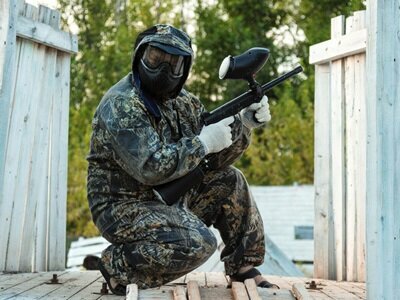 It has combined all the best features of the paintball markers to have efficient operation. You can use it as a beginner as well as in some tournament games. It offers you complete freedom of customization. Spyder does not fall behind any others when you consider the durability of this paintball marker. Users love the shots it gives and its performance. The efficient valve system with the semi-auto adjustments makes it something you are surely going to love. There are also so many other awesome reasons to love it. There are side rails on it for an additional laser light. With smoother action, you will want to buy it again and again. The Spyder paintball marker looks graceful as you hold it. It has just the perfect military style and shines in your hands. The quality is great and feels like nothing when holding it. The MR-100 is a great gun to get for beginners. 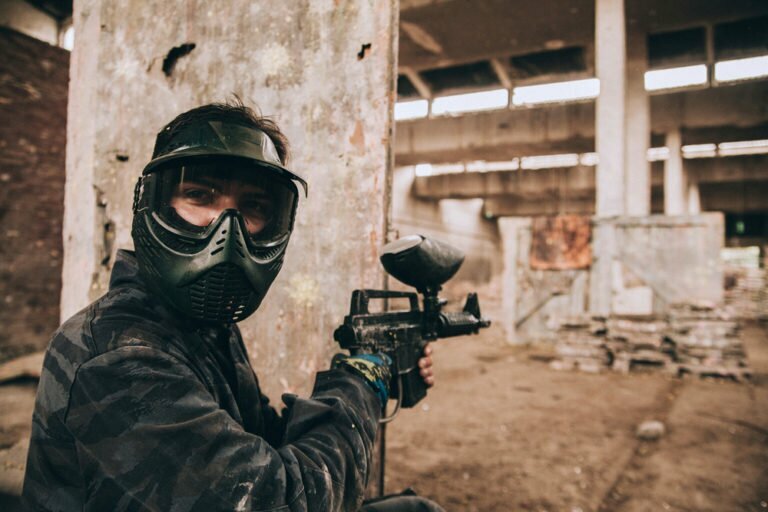 If you are looking for a top quality paintball marker that works efficiently, this is what you need. So, let’s see what it has to offer. MR-100 is great when it comes to considering its design. This paintball marker is not like other ordinary markers; it has a military-style design. This gives the look of a real sniper and it handles easily. It has a long enough front grip that keeps it from the hose. Keeping the style and performance in mind, the Spyder is designed in a way to give you the maximum output. It has multiple rails for customizing options. As we mentioned earlier, this is a great pack for the starters. But, if you are an expert, you don’t have to worry about its outlook. It looks awesome by itself and also offers the customization features. If you are ready to begin your game, you can use this paintball marker as an amazing tournament marker. Its design makes it a very lightweight paintball marker. 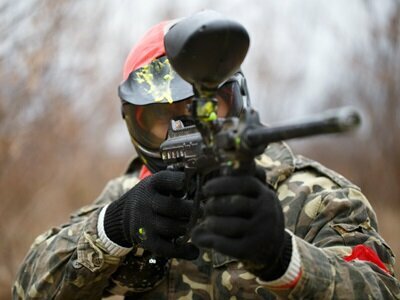 Spyder gives a much better performance than many other paintball markers. The MR-100 has an air efficient EKO valve system. This gives the best air source efficiency. Also, this paintball marker allows you to shoot up to 1500 shots in one tank. The tank capacity of 20 oz. allows you to shoot more as compared to other paintball guns. The other markers have fewer shot capacity and are not as efficient. This makes it be a better choice than others in the market. Spyder shoots perfectly straight and right on the target. With the powerful shooting capability, it gives you the most accurate shots possible. This is possible by having the perfect trigger size. The two-finger trigger gives you better control over every shot. Also, you can use CO2 or compressed air with this paintball gun. The MR-100 is constructed out of rigid steel and aluminum material. This makes a durable choice. It has a durability which performs best even in extreme weather conditions. The rough handling will not degrade its quality and it will perform well for a long time. So, you can use it for long hours in any game. Furthermore, the materials used are very durable. It has high quality aluminum side Picatinny rails. This allows you to customize and design it in your own way. The anodized finish of triggers makes them corrosion free. Spyder speaks of its durability by its Detent steel braided hose. This gives you the most accurate shots every time. What’s more, the durable design of the MR-100 gives you better control over your game and you won’t need any further modifications for shooting straight. The MR-100 offers you versatility with the features it has. This paintball marker comes with a 20 oz. tank of CO2. This allows for enough shots of up to 1500-1600 depending on your needs. It has clamping feed-neck and is of high impact polymer. The two-finger trigger shoots perfectly on the target. The aluminum finished side Picatinny rails offer customization. A quick disconnect pin allows for a fast rate of fire. For having the perfect velocity, the one piece velocity adjuster is there at the back of the gun. The marker comes with spare parts. The detent steel hose maintains the integrity for up to any numbers of shots. It is very easy to clean this marker. Furthermore, you can customize and upgrade with countless ideas online. 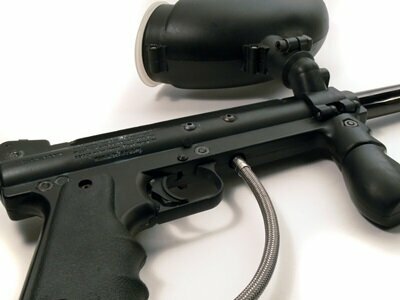 This can transform your paintball marker into something new and unique. So, set up your game and practice. Great choice for starters. It shoots straight. The number of shots for one tank of air is awesome. It fires paintballs without breaking them. It has a very comfortable grip. Great marker to play in the scenario games. It is very efficient with air. The bolt of the marker is very brittle. 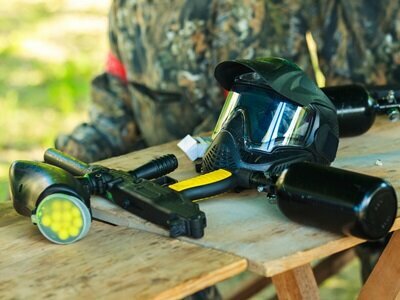 Overall, this paintball marker is great to have for beginners, professionals and scenario type games. It gives you a good number of shots with efficiency with the use of air. Its 20 oz. tank is enough for all your needs. 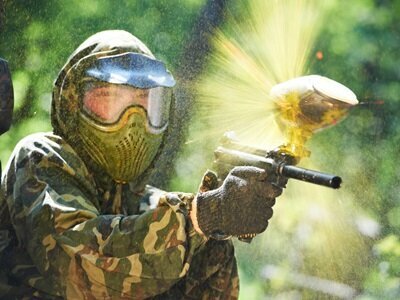 This makes it ideal for the seasoned paintball player. It does not have many drawbacks. Only one or two people have complained about its bolt and O-ring. Otherwise, this is a very durable marker with a good grip. The maintenance of the MR-100 is very easy. It is easy to clean without needing any special care. With the passage of time, you will be able to clean it easily. It comes with spare parts and wrenches that are for some assembling tasks like velocity adjustment. With a perfect hose length, it delivers accurately positioned shots each time. For those looking for a military style marker with a much better efficiency, this is an ideal choice. It is equally great for the beginners and players and you will be happy with your purchase.